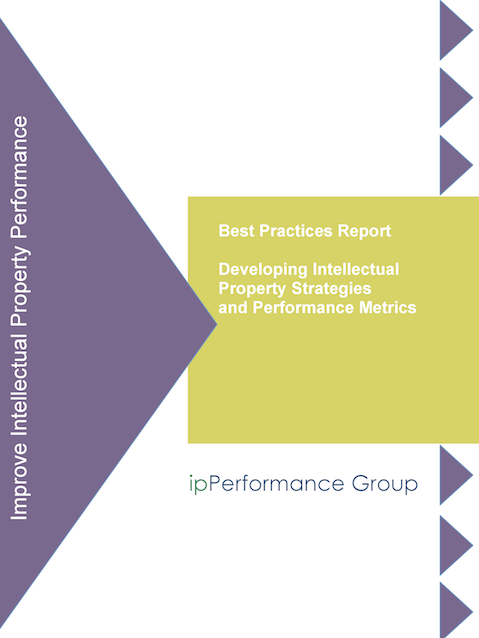 ipPerformance Group Research presents the definitive study on developing intellectual property strategies and performance metrics used to gauge company success. This report will provide you with meaningful operational information to benchmark your organization. The standard report includes executive overview, main findings, and detailed results. – 35% of companies indicate intellectual property strategy is routinely an aspect of their company’s day-to-day business decisions. – Almost a third of companies state that they would increase patenting very frequently in response to competitor activity. – On average, IP leaders utilize seven key information inputs to develop company IP strategies.